One of these days, we’ll live in utopian, paper-free society, but until that time, you need a printer at home. 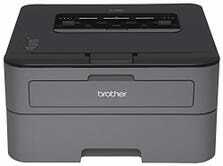 It’s no secret that most home printers are awful devices designed as a sadistic social experiment to test the limits of our patience, but you can save your sanity by throwing out your old inkjet and replacing it with a Brother laser printer. Toner is cheap, efficient, and won’t dry out if you don’t use the printer for awhile. It prints very quickly. 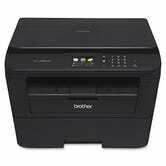 In fact, most Brother laser printers can output 27 pages per minute, including duplex. These three tentpoles apply no matter what model you buy, from the entry-level 2300D to the scanner and Wi-Fi-sporting 2380DW, so just figure out which extra features matter to you, order it, and cathartically smash your old inkjet Office Space-style (or donate it to Goodwill or something).